A cool kid jumps into an inflatable castle. 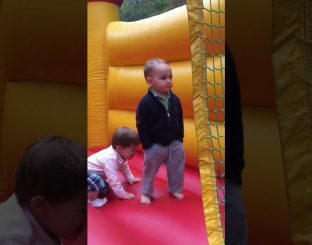 A 2-year-old kid jumps into a bouncy castle in casual hands in pockets, cool. A dog sees other dogs on TV and try to join them to play with them. 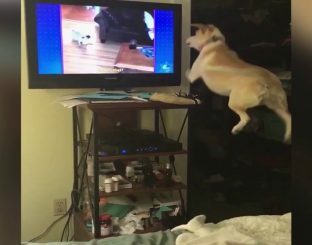 He then made great leaps jumping from a bed next to the television screen.